What happens when a big hosting company deletes your website? 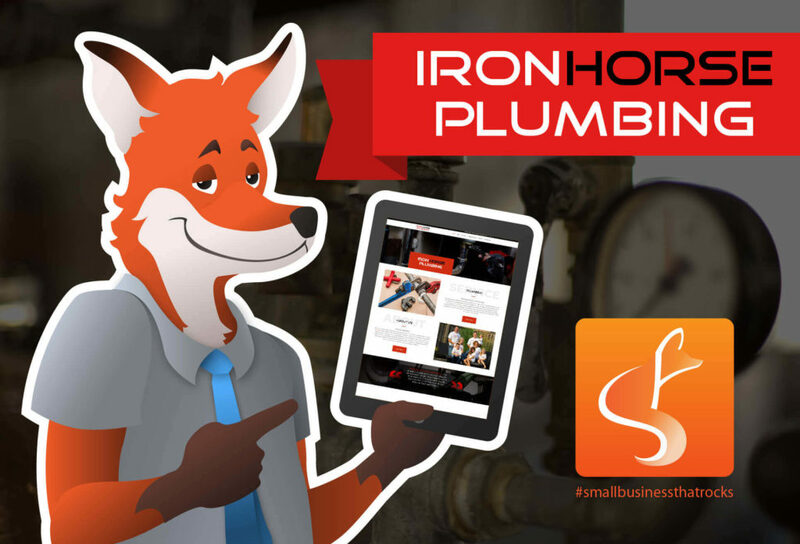 Local business Iron Horse Plumbing found out the hard way: their site was accidentally deleted by one of the big website hosting companies. Everything, in the blink of an eye, was gone. This meant that Bob and Greg, the founders of Iron Horse, were left without a precious business resource. Their website is important for reaching local Londoners in desperate need of plumbing services; how could they advertise and connect with customers when all the hard work put into their website was lost? SlyFox did for them what Iron Horse does for Londoners with unexpected plumbing problems: we came to the rescue! Our team set them up with an emergency one-pager, then developed a great new site with them. We were even able to recover all their old blogs and put them on the new site. It became the start of a great relationship, and we’re very proud to work with Iron Horse Plumbing, a true #SmallBusinessThatRocks! To understand the name of this plumbing company, it helps to be a baseball fan. The father of one of the owners, Doug Clark, was diagnosed with amyotrophic lateral sclerosis, or ALS, an incurable neuromuscular disorder now commonly referred to as Lou Gehrig’s disease. Lou Gehrig was a New York Yankee legend whose diagnosis cut his career short and put ALS in the spotlight. Gehrig was known for his prowess as a hitter and for his durability, traits that earned him the nickname “The Iron Horse”. Doug Clark possessed these very characteristics and ultimately the Clark family adopted the name Iron Horse, initially for ALS fundraising initiatives. When friends Bob and Greg were ready to take their careers to a new level, they decided to enter the exciting world of entrepreneurship. They wanted a business that stood out among the competition – a durable company that would stay a family business for years to come. What better name than Iron Horse after Doug? Completely by coincidence, the first day of their new venture was on what would have been Doug Clark’s 66th birthday. They continue his legacy, and not just in name: Bob and Greg perform every job to the high standards to which Doug Clark held himself. What Does Iron Horse Do? We’re happy to say that the new Iron Horse website is bringing their message and commitment to the London area. Along with telling their story and providing a list of services, we set them up with a quote form, so anyone with a plumbing problem can know up-front what the costs will be. It’s all about putting trust and quality first! So when you’re in need of any of these services and are searching for a reliable plumber, please consider supporting a local business with a strong foundation you can rely on! ← What Is Personal Branding, And Do I Need It? What Is Personal Branding, And Do I Need It? A #SmallBusinessThatRocks That Is Out Of This World! Google+ Is Shutting Down: What Does That Mean To You?